One for the genealogists today so you might want to look away now if you’re not into this stuff! This is a blog post I have tried to start, many times. And given up on. Due to its complexity. So here it is – finally – the lengthy (sorry) story of how we finally broke through the biggest brick wall in my family tree. It has a bit of a twist in the tail, as you’ll see. And involves the kind of coincidence that even Dickens would think was stretching plot credibility a bit… Yet it happened. I started genealogy back in the 1980s, when we lived in our first house; a small one-bedroomed terrace, in Bartley Green, Birmingham. Our row of houses had the distinction of once being the smallest district of Birmingham – that lone terrace and a nearby farm, brickworks and inn had once been called ‘California’. It had been on the very edges of Birmingham. Older people along the row still called it “California”. But it had been subsumed into the larger postal district of Bartley Green by the time we lived there. We lived in the end house at California, for almost ten years. Our house was maybe built around the 1880s or 90s, on the site of some long demolished nailmakers’ cottages. It was a hard house for the council to let as a bad conversion meant it only had one bedroom, so it was no use for a family. We jumped at it when offered as otherwise all we’d have got was a high-rise flat and so we couldn’t believe our luck, being a (then) childless couple and getting a whole house! It was also three storeys at the back, and two at the front. The staircase down to the kitchen was concrete and locals soon told us our kitchen had been the terrace’s fish and chip shop. We lived in the end house, by the chapel. We loved it not only as our first home, but because it had a huge garden and was right on the edge of the city, so surrounded by country park, and beyond that, reservoirs and woods. We were so close to the edge of Harborne, that some people thought California was in Harborne. It had been Warwickshire before the new county boundaries made it ‘West Midlands’ but on 19thC censuses, it had been Staffordshire; the heart of the Midlands’ nail, chain and needle-making industry. Bang on the border, in other words. Whilst living there, I got involved in genealogy. In the days before the internet, and I quickly realised I didn’t have the money to travel backwards and forwards to Yorkshire, where pretty well all my family history was sitting in archives (or, in those days, at Somerset House). But one thing was obvious. I was never going to be able to trace my real surname, or find out fully who I really was, anyway. My great grandfather, John Lister, had told everyone that he was a foundling, dumped at birth at a Leeds orphanage. Later, he said, he was sent to a baby farm then fostered by a family, the Gillespies. Their daughter, Florrie, a couple of years younger than him, was a lifelong friend – so close to him that long after he died, she was the only person to continue to take flowers to his grave. John brought up his five sons telling them they had no known grandparents and they had a surname that didn’t even belong to them. In parts of the West Riding, being called ‘Lister’ you might as well be called ‘Smith’. I heard that line myself more than once and wouldn’t be surprised if it didn’t originate with my great grandad, John. “John Lister” might as well be “John Smith” round here. John also told the story that when he reached 19 years old, he decided to visit “a rich mill-owner” and claim he was his illegitimate relative. All anyone knew was, he left home a penniless mechanic in the printing industry and returned with money. Everyone assumed he must have pulled his con on the Listers of Bradford. Whilst I lived in Brum, I searched the indices of the birth certificates held at the Reference Library and could find no John Lister registered in the year he claimed to have been born, or several years either side. Which backed up his story he was a foundling. I still haven’t got his birth certificate all these years on! In the age of the internet, we got on Ancestry and searched the 1881 and 1891 Censuses with a fine toothcomb, and still there was not a child of the right age, in Leeds, called ‘John Lister’. We knew John was a notorious con-man. But his story that he was a foundling, first in an orphanage, then a baby farm, then adopted by the Gillespies, seemed to stack up. Although in the relevant censuses, he wasn’t in the Gillespies’ house on Census night. The other reason we believed John’s tale of being a foundling, so untraceable, was that my great grandmother, Emily Lister nee Stephenson, told dad she had gone to a solicitor, in the 1920s, to check if she was even legally married. Because she was worried that if ‘Lister’ wasn’t John’s real name, maybe her marriage was null and void. The solicitor reassured her, apparently. A few years back, we sent for John and Emily’s marriage certificate. John, this man who said he had no known parents, (and convinced Emily he had none?) said his father was “Thomas Lister” and his father’s occupation was “Press Setter”. Knowing my great grandad was a printer, I wrongly assumed that was something to do with printing. By the 1920s, John was living in a large Victorian house in Shadwell, owned by my other great grandfather, Tom Boothman. My grandfather was the second son of five boys (John and Emily also had a daughter, Mary, twin of one of the boys, who died aged 10). A couple of John’s sayings were recalled by my dad. One was “A gentleman never works for a living”. Apparently, when he felt War was coming, he bought up Leeds’ entire stock of paper then slowly sold it back to the other printers for an extortionate amount. By some point in the 1920s, Emily and John were estranged. The story is, John died of a heart attack in 1931, at his mistress’s house. Which would be entirely in character. Whether Emily’s visit to the solicitor coincided with all this hitting the fan or not, I am not sure. I have a perfume bottle made of Venetian glass and was always told it was one of a pair and whoever descends from John’s mistress, has the other one! So if your grandma/great grandma lived in Shadwell or Leeds in the 1920s, and you have a pretty green Venetian glass perfume bottle covered in hand-painted flowers… do get in touch! We might be related. Apparently I am related to a lot of people in Leeds, via John. Anyway, when I lived in Birmingham’s California, in the 1980s, I did my first bit of genealogy – tracing John’s eldest son, Norris, killed in WW1, and discovering he was not on the Tyne Cot memorial – where his family had been told he was commemorated. Lots of correspondence with the War Graves Commission and the upshot was, Cpl Norris Charles Lister was, for a time, the last name on the memorial. My grandad was long dead, but one of John Lister’s five sons, and Norriss’s brother, was still alive: my Uncle Jack. We went to see Jack showing him the photos of the memorial, someone from the War Graves Commission kindly took for us. And told him we were now interested in genealogy and could he tell us all he knew about his dad, John, so we could see if we could figure out who we really were, what our real surname was. We were hoping he might remember which orphanage John claimed to have been left at. There was a whole elaborate story my grandad, Billie, had told me of John being visited once a year on his birthday by a grand lady “in a coach and four” who’d give him books. Jack was by now in his 80s but very sharp and intelligent, like grandad. He also recalled the coach and four story. He went on to say that Billie had zero interest in his family history and had never wanted to find out the truth or shown the slightest bit of interest in what our name really was. Jack, however, was curious to find out more about John Lister. Jack said he had found something out but was sworn to secrecy and could never tell anyone what he knew, but it was something to do with the name ‘Gillyflower’ and… Ireland; a grand Irish lady, in fact. He also made some remark, whilst laughing, so I assumed he was feeding us a red herring, about ‘Might as well be called Smith round here, as Lister’ – saying words to the effect that John probably picked Lister as his new surname because it would in effect, make him untraceable. Every lead was a dead end. We were left with some anomalies, as time went on. How could Emily think her husband had no family if, on her wedding day, she must have heard him tell the registrar his ‘father”s name and occupation? Why, if he was brought up by Florrie’s family, the Gillespies and called Gillespie til he was 19, was he not living with them on any Census? Florrie and Emily knew eachother. Florrie was the only person – allegedly – who had known John as a child, and before he married Emily. Florrie Gillespie was close to John and kept his secrets well. He kept her secrets even better, as I was to find out. And she kept them so well I would have continued to be a genealogist who couldn’t trace her paternal line at all, past a couple of generations if it hadn’t been for a chance break-through. We kept returning to this brick wall, periodically, but couldn’t get any further with it. It seemed I’d never really know who I was. Then the 1911 Census came out. We decided to go to look for Florrie again – I could find John Lister by the 1901 Census, although nothing for his childhood. We weren’t expecting to find anything new. John was long married with children and now easy to locate as using the name Lister. Florrie had never married. In 1911, Florrie was living in Ellenborough, Cumberland, a boarder with a couple called the Jardines, aged 34, a District Nurse (as we knew) but… her name was down as… “Florence Lister Gillespie”. What? She was a Lister? This sent me back in time in the censuses – knowing a surname as a middle name is usually the mother’s maiden name. So Florence’s mum was related to John Lister? Or someone called Lister… I knew I’d have to track down Florrie’s mum to stand a chance of finding out who her ‘adoptive son’, John, was. Florence was born in 1877, apparently the daughter of John Gillespie, a tailor (born Scotland) and Elizabeth Ellen (sometimes ‘Helen’) Lister. Elizabeth was born in 1857, in Huddersfield, to Tom Lister and his wife, Hannah Smith. Tom was… a Press Setter (cropper in the wool industry) and Hannah’s father was a Fancy Woollen Manufacturer (mill owner) in Longwood, Huddersfield. This was the Tom Lister, ‘Press Setter’ of the marriage certificate – we’d assumed him to be fictional, knowing what a fantasist John was. And that ‘press’ was to do with printing. And John’s grandfather? A mill owner. Might as well be called Smith as Lister in the West Riding? Well, we were called both! Some elements of truth in all the lies. I had found my great great grandparents. And the name I had been told my entire life, was not really my name, did indeed belong to me. Turns out the Listers were in the wool trade, an old Halifax family; moving to Huddersfield in Regency times, and later to Leeds. So far all the Halifax Listers I have traced have been wool weavers, croppers (Press setters!) and a wool merchant. Florrie’s mother, Elizabeth, was a Lister; her brother was John’s father. 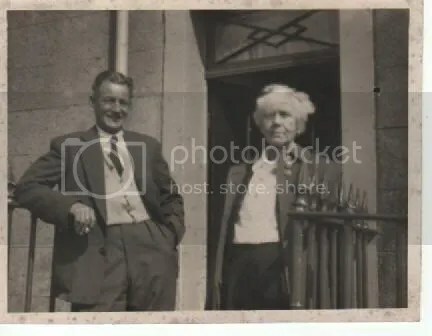 I’d never bothered to get Florrie’s birth certificate because I’d assumed as ‘adoptive’ family, there was no blood link so the Gillespies were of no interest. Although there was a fly in the ointment, as on the 1881 Census, a three year old “Florence Lister” is recorded as “niece” to John and Elizabeth Gillespie… not daughter. Later, she is recorded as “daughter”. Yes, I will have to get the birth certificate! I don’t understand what made me not consider tracing Elizabeth Gillespie, or start figuring out who she was. The answer was in front of us the whole time. John’s parentage is pretty clear – Tom and Hannah Lister. Florrie, on the other hand – when she first appeared on a census was Elizabeth Gillespie’s ‘niece’. John Gillespie married Elizabeth Lister in Leeds on June 7th, 1877. This would make it just about possible that Florence was their child. Free BMD lists a Florence Lister whose birth was registered in Leeds in the same quarter that John and Elizabeth married. So it is also possible, the most likely scenario in fact, that Florrie was John and Elizabeth’s illegitimate baby, born just before they married, hence having the legal surname Lister. All the subterfuge obscuring not only John’s birth, but Florrie’s. Maybe all along, the whole elaborate tale was a strange, gentlemanly facade designed to protect Florrie from the stigma of illegitimacy. Certainly the shame of illegitimacy seems to have lingered even if your parents did subsequently marry. Tom and Hannah Lister moved from Huddersfield to Leeds and continued having children well into middle age; I traced their Leeds-born children via baptism records, across several of Leeds’ poorer parishes; child after child, dying in infancy. One of these ‘late’ children, and the only survivor, was my great grandad, John. We have not been able to find his baptism record – maybe he was never christened. The Listers seem to have been Non Conformists in Halifax and Huddersfield but reverted to Church of England, in Leeds. Elizabeth was 20 years older than John, so maybe did look after him for much of his childhood. Florrie was an only child so possibly did grow up in the company of her cousin. She knew, all her adult life, precisely who John was – that he was a Lister, that he was her cousin – yet backed him up with his story that he was a foundling with no name. This remains the biggest mystery of all to me. My dad died before we broke through this last brick wall – I wonder what he’d have made of it? When John died, Florrie alone took flowers to his grave, whenever she could. She remained loyal to him, to the end. John Lister had told the truth on his wedding certificate yet lied to his wife and children. So why was he unfindable in the censuses of his childhood? When John was about three, his dad,Tom Lister, died. Hannah remarried. A man from Birmingham, called Charles Deeley. Deeley was varuiously recorded through censuses as a chainmaker, foundry worker and blacksmith. Census enumerators maybe struggled with Deeley’s Brummie accent as he was mistranscribed as ‘Daley’ after marriage to Hannah and his little stepson, my great grandad, was not in an orphanage or baby farm or even with his ‘adopted’ family the Gillespies – but right there in Holbeck at home with his mother and stepfather. Hidden in plain sight and on the Censuses all along as ‘John Daley’. I could have stared at that on a census forever, of course, and had no way of knowing that little John Daley was actually John Lister. Growing up, his name must have been his stepfather’s and at 19 when he took the name Lister after visiting a wealthy millowner – he may well have been in Huddersfield visiting his own family, the Smiths or the Dawsons, who were mill-owners – Dawsons having one of the most successful dyeworks in the world – and returned to Leeds using his birth name. He had probably never been John Gillespie. He had been John Deeley. And there were elements of truth in the tall tale. Maybe the Dawsons or Smiths paid him off to get rid of him… And that is how he reappeared in Leeds with a “new” surname and a wad of money, as he went from being a printer’s mechanic to a printer in his own right. There was no coach and four, or Irish grand lady. Unaccountably, on the 1901 Census John and Emily and their burgeoning young family live maybe one street away from Hannah and Charles Deeley. My grandfather is on that Census, in that house and yet had no idea he even had grandparents. Stranger still, John gave his first-born ‘Charles’ as a middle name. Charles is not a family name – not used once – amongst the Listers, Smiths, Crabtrees, Dawsons or other immediate family of John Lister. Nor is it a name used in Emily’s family. Why did John name his eldest son after the stepfather whose existence he denied? But the final chapter of this whole story is the most strange. Curious about who Charles Deeley, my great grandfather’s stepfather, I went to look for him. He appeared to be a blacksmith, working in a large Holbeck foundry.According to censuses, he was born around 1850, in Birmingham and across different censuses gave slightly different birth places – county boundaries across Birmingham changed at different points and, of course, many 19thC folk were unsure of their precise birthplace, if their parents died young and they were shunted around a lot. Charles had worked from a childhood; been born to a single mother, had an incredibly tough life where he seems to have been moved around from pillar to post. But I managed to find him as an infant, in the 1851 Census son of Ann Deeley, a nailmaker. In the lone row of cottages they called…. California.